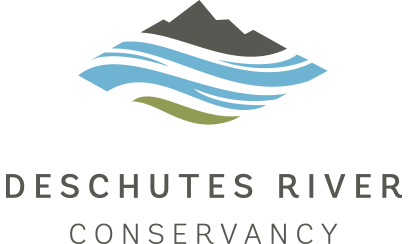 Flows in the Upper Deschutes River will be reduced from 100 cubic feet per second (cfs) to 25 cfs this weekend beginning on Saturday, November 3rd for a dive inspection of Wickiup Dam. By Sunday, flows will be returned to 100 cfs. The Bureau of Reclamation is doing a routine inspection, as required by the Safety of Dams Program. The inspection is scheduled every eight years to check for clogs in the intake screens of the dam and to verify the integrity and condition of the outlet area just below the dam. Bowman Dam in Prineville will also be inspected on Friday, November 2nd and flows in the Crooked River have been drawn down from 50 cfs to 25 cfs temporarily. The Bureau of Reclamation has been working with their regional dive team to ensure that flows are appropriate for the safety of the divers and to minimize the duration and impact of the low flow events in the Upper Deschutes and the Crooked River. Follow flows in the Deschutes Basin at the US Bureau of Reclamation’s Hydromet Site.